Today Economie Nouvelle is welcoming Jeff Lynn, the CEO of Seedrs for an interview about the recent US JOBS Act and Seedrs view on international expansion. Economie Nouvelle: Hi Jeff, first off, congratulation for winning the London Web Summit startup competition ! Can you present your company in a few words? Jeff Lynn: Thanks, winning London Web Summit was a great and much-welcomed surprise! Seedrs is a platform for investing in startups. We will let investors invest between £10 and £100,000 in startups they choose through a simple, online process, and we will let startups raise up to £100,000 in equity capital seamlessly from friends, family and the crowds. Economie Nouvelle: So your goal is to provide these first funds that are so hard to get for starting entrepreneurs. However voices are saying that entrepreneurs need more than just cash from Business Angel, and that mentoring and networking are equally important. 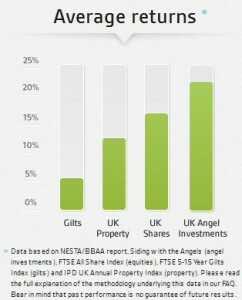 What do you think of that, and how does Seedrs answers that? Jeff Lynn: Mentorship and support are vitally important, and I think that Seedrs provides the best type of mentorship and support you can get: access to a wide, diverse range of investors who have a vested interest in helping the startup out. There is an old-fashioned notion that a solitary, grey-haired angel should be there to provide all the advice the startup needs, but I think that most businesses—especially in their earliest stages—would rather be able to turn to a network of people to help them with particular issues as they go along. Startups that raise capital through us can reach out to the hundreds of people who have invested in them and say “Does anyone know a good accountant?”, “How do I solve such-and-such coding problem?” or even “How do I get an intro to such-and-such VC firm for my next round?” Somewhere in the crowd of investors will likely be one or more people who can provide a useful answer or introduction. Economie Nouvelle: You launched in the UK, but just last week the US passed a new bill, the JOBS Act that legalizes crowdfunding for « emerging growth companies ». When are we going to see you in the US? Jeff Lynn: We are going to take a close look at the version of the JOBS Act that passed, and in particular that will be made by the Securities and Exchange Commission (SEC) following its passage, before making a decision as to whether to approach the U.S. market. At this point we’re concerned that the law as passed provides for too little regulation, and we have no interest in entering a market where investors are not receiving adequate protections. That may change, however, based on the rules that the SEC promulgates. Economie Nouvelle: Still about the JOBS act, what do you think of the safeguards added by Congress, in particular the limit of $2,000 per investor when startup raise less than $100,000? provide support and monitoring for investors after the investment has been made. I question whether the JOBS Act addresses (1), and it definitely doesn’t deal with (2), and those are much more important to making crowdfunding work than investor limits. Economie Nouvelle: What about expansion in the rest of the world? especially in France and Europe ? Jeff Lynn: We are very keen to expand through Europe and will begin that process as soon as possible after launch. We’re hugely excited about the entrepreneurial activity and vibe that’s growing throughout Europe, and we see France as one of the leading potential markets for Seedrs. I’d add that as a company we are very much pan-European in operation and outlook: our development team is based in Lisbon while our business team is in London, and our directors and investors come from backgrounds working in Sweden. Luxembourg, Italy, Switzerland and many other European countries. Economie Nouvelle: People seems to be eager to invest in startup, but might be concerned with due dilligence issues. In addition to the legal due diligence done by Seedrs when people invest how can you help people make the smartest choices ? Jeff Lynn: Our approach is to ensure that the disclosures the startup makes – the information on which investors base their investment decision – is fair, clear and not misleading, but we do not advise investors where to allocate their capital. Our view is that, for seed-stage businesses in particular, the wisdom of the crowds is the most powerful form of business due diligence: if 200 or 300 people vote with the chequebook to say that they think a particular business represents a good idea, there is a clear market for it and (perhaps most importantly) the background of the team makes them best suited to execute the business and bring the idea to the market, that is a powerful statement and is more relevant than the view of a few professional managers. That said, this is very much a form of self-directed investing, and if investors are uncomfortable making their own investment decisions, then we probably aren’t a platform for them. Economie Nouvelle: Will you offer the opportunity to people to follow-up on capital raising rounds as a startup evolves or will you be diluted ? Jeff Lynn: Investors will be able to follow on if they want to do so. Economie Nouvelle: Thank you Jeff for your time and good luck!